The ISO 9001 Quality Management System was awarded to our manufacturing company in March 1994. Click the link to view our 9001 Certificate of Registration. Occupational Health & Safety Assessment Series – fully accredited Health & Safety Management System. 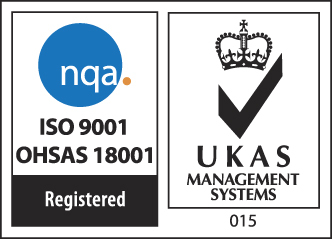 The accreditation was awarded to our manufacturing company in June 2015 followed by the hire company gaining accreditation in June 2016. Click the link to view our 18001 Certificate of Registration.